Effective for emoving dandelions and other tap-rooted weeds. 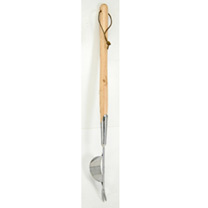 Features a beautifully sculpted 50cm (20") long ash handle resulting in a perfectly balanced tool. 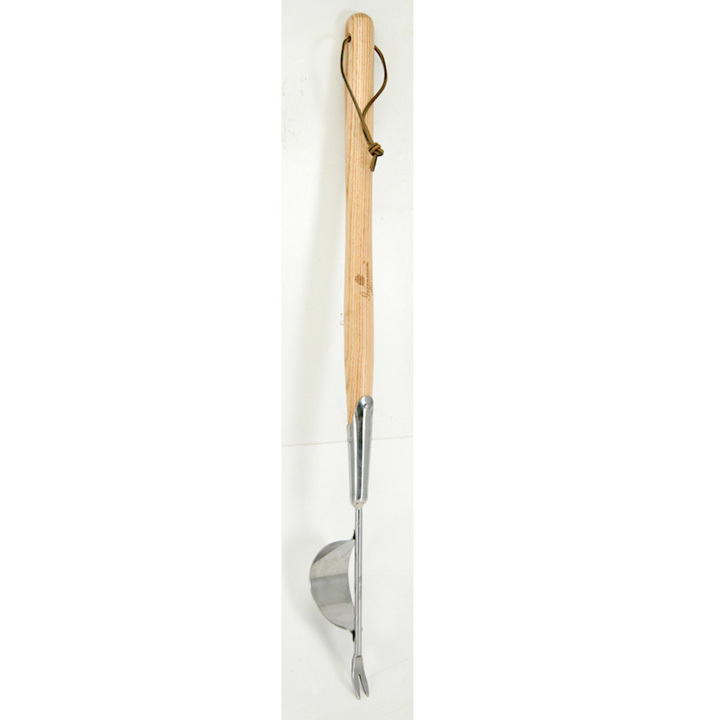 A stylish and well made tool that has been built with the gardener in mind, the way tools used to be. The handle is made of ash, which is tougher, longer-lasting and better-looking than tropical wood, and causes less vibration than fibreglass or metal. Mirror-polished stainless steel head provides better rust resistance and ensure less soil adhesion than a regular paint coating.